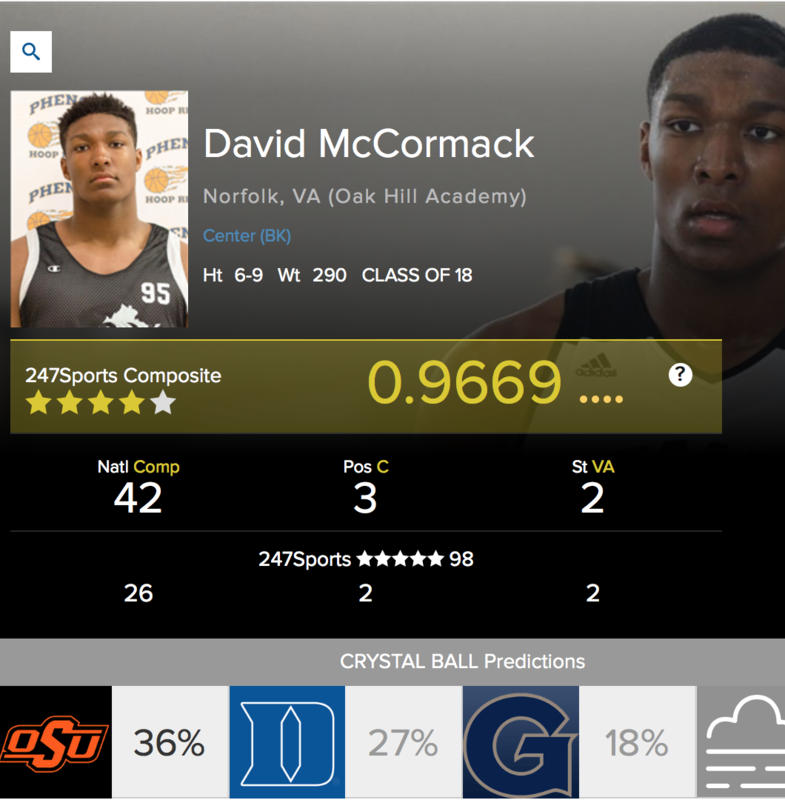 David McCormack, a five-star, top-50 prospect out of Oak Hill Academy will take an official visit to Oklahoma State on Oct. 14, according to reports. McCormack is the second-ranked center prospect in the 2018 class, according to 247Sports. 247 has him listed as a five-star prospect. Should he commit to Oklahoma State, he would be the highest-ranked prospect to come to Stillwater since Marcus Smart. He holds offers from programs like Duke, Kansas, and Georgetown. McCormack attends Oak Hill Academy, a noted college basketball prospect factory. Oak Hill has produced NBA stars such as Kevin Durant, Carmelo Anthony, Ty Lawson, Rajon Rondo, and many more. The news of his visit comes immediately after the commitment of four-star shooting guard, Antwann Jones. As it stands now, Oklahoma State is currently the favorite to land the talented big man. Check out some highlights from McCormack’s time at Oak Hill. He’s an absolute monster. HIGH NOON HIGHLIGHTS (1/25): Basketball Bonanza, featuring Big Mitch, Cowgirl Basketball and an Eddie Sutton disciple.